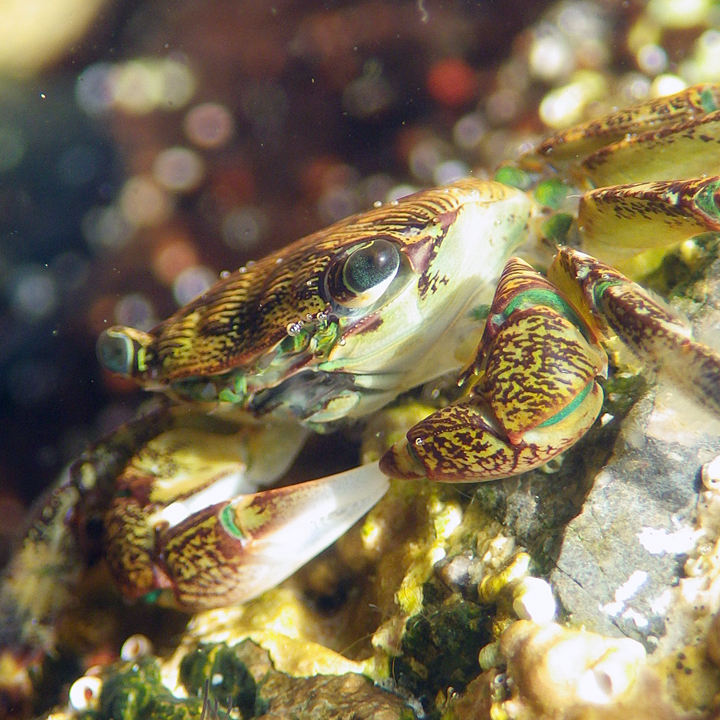 I photographed this neat little crab in a tide pool along the California coast. I could spend hours looking at all the little creatures in tide pools. I really love watching crabs. I am not entirely sure why they are so fascinating to me, but I know I’ve spent hours sitting and watching them. This is a wonderfully detailed close-up! I imagine that is not so easy to achieve underwater.